A particularly virulent strain of potentially fatal virus called BDS is presently sweeping the Globe, infecting millions of people as it spreads. 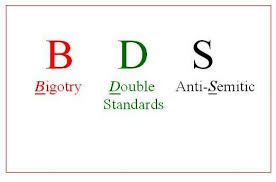 The only known antidote to BDS is “Truth” , which unfortunately is in very short supply. The symptoms of this horribly infectious disease are made clear when people with genuine altruistic tendencies become smitten with a specific type of hatred called anti-Semitism. The way the virus works is that it attacks a persons altruistic morality and uses it against the person by distorting the truth and making the person believe that he or she is acting in accordance with their natural altruism, when in fact they are doing the very opposite. The incubation period for the disease is the time it takes a Progressive to be Regressive which isn’t very long, and although we know precisely where the disease mutated and spread from, we cannot disinfect it because the United Nations has designated it as an area of Natural Unpleasantness which must be protected. One of the things which make the disease so difficult to control is that there are so many “carriers”. These Progressives, leftists, Trade Unionists, Trotskyists, academics and others who while carrying the disease are immune to the symptoms, and are perfectly aware of the truth, but for their own cynical, malicious ideological interests deliberately spread the disease to others, causing it to reach epidemic proportions. So how are we to deal with this pestilence? Well! The only known cure is a heavy dose of the truth, and we must somehow find a way to dispense it to the infected. There is absolutely nothing new in the BDS attempt to instigate “the final solution” as The Dry Bones Blog so aptly reveals. Dr Joseph Goebbels, Reich Minister of Propaganda would be very proud of the BDS. One of the arguments used so effectively by the Palestinian BDS ( For that is what they are), is the unfortunate fact that they have a number of Jewish members and supporters. This is presented as somehow legitimizing their anti-Semitic and anti-Zionist arguments. Of course this is a spurious and totally unsound argument at an intellectual level. When William Joyce ( Lord Haw Haw) an Irish American and Raymond Hughs a Welshman, both broadcast Nazi propaganda during WW2, the people of the Allied Nations did not regard their broadcasts as legitimizing Nazism or delegitimizing the Allies, just because one was an Irish American and the other a Welshman. The people rightly identified these two for what they were, traitors. Every Nation State has its share of detractors, and unfortunately Israel is no exception. Britain and America for example has an abundant supply of them. They are called Progressives and they flock to the BDS like flies to a turd. 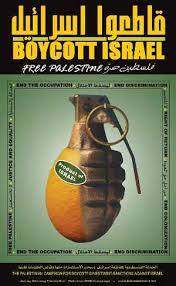 The BDS recruitment campaign has been most successful in gathering support from a large number of Leftist Progressive actors, actresses, poets, musicians, architects, pop singers and general media ne’er-do-wells, who do not have the intellectual capacity to research BDS’s credentials and history before they take them at face value, just because they use and abuse the language of Human Rights. Rights which they seek to deny all Jews. Nothing new there then. These people desperately need to examine and re-evaluate their own indoctrinated values, before they assist in the legitimization of anti-Semitism and yet another evil pogrom against the Jewish people.